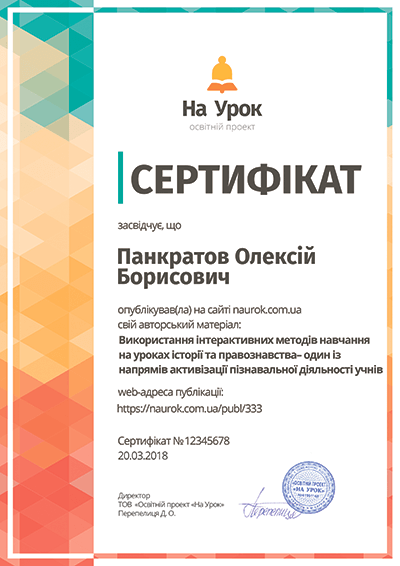 Урок в 11 класі побудований, в основному, на матеріалі підручника Opportunities Upper Intermediate. На уроці розглядається рятувальна робота лікарів, у тому числі і місцевих , проблема вакцінації, ставлення батьків до щеплень (за і проти), елементи проектної роботи. Учні продовжують роботу над удосконаленням умінь усного та письмового мовлення; навичок діалогічного та монологічного мовлення. Розвивається мислення учнів, здатність правильно формулювати та висловлювати свою думку; розвиваються пізнавальнi здібностi учнів. Тема уроку : Health. Life Savers. розвивати мислення учнів, здатність правильно формулювати та висловлювати свою думку; . донести до учнів інформацію про необхідність вакцінацій та виховувати свідоме ставлення до щеплень. І. В. Самойлюкевич, 11 клас, підручник “Opportunities” Upper Intermediate, картки, фотографії місцевих видатних лікарів. All of us solve many problems every day. Sometimes our so-called ‘urgent’ doings make us forget about ourselves, about our health. Even feeling unwell we postpone a visit to a doctor considering our illness not worth paying attention and we think it is waste of time sitting in a long queue in order to see a doctor. Sometimes we are lack of necessary information of a disease and then we have complicated consequences. Or we have a wrong opinion about this or that doctor. And all these things prevent us from going to the polyclinic to see a doctor. Today we continue working on the theme “Health”. The theme of our lesson is “Life savers. Inoculations”. We will speak about some diseases, about the people who treat us, about the physicians of our town and district. Also we will work at the text “The X-Factor” which will deal us with the children hospital in Paris. Do ex.1 p.64 warming-up: look at the key words. For which of these diseases is there a vaccine to prevent the illness? Aids, bronchitis, cancer, diarrhea, ‘flu (=influenza), heart disease, malaria, measles, pneumonia, polio, tetanus, TB (=tuberculosis). When the weather is frosty there is no epidemic of flu. But now it is late to make inoculations against the flu. It must be done 3 months before, in September. Measles, diarrhea and pneumonia kill an estimated 7 million children a year. Each year 600,000 babies pick up tetanus bacteria and die – even though there is a vaccine. Many children still suffer from polio; every year the disease disables 140,000children. Over two million people a year get malaria and die, mostly in Africa. Nearly one-third of the world’s population is infected with tuberculosis, which kills almost three million people per year. By the year 2000, more than 20 million people had contracted and died of Aids since the outbreak of the epidemic. The note: Dear …(name, surname of the parent). According to the plan of immunization of your child (name, surname) the vaccine inoculation against TB is planned for the next week. Will you allow to make the vaccine inoculation to your child? After the vaccine inoculation there can be different reaction. Date. Signature. work in groups of 4. 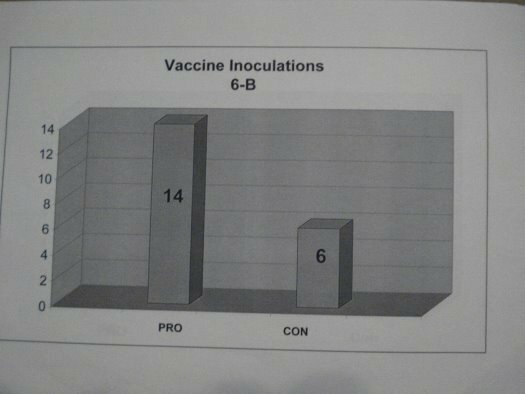 Discussion of pros and cons vaccine inoculations. * project work: Pros and cons (to make diagrams on social survey pros and cons vaccine inoculations – different age categories). 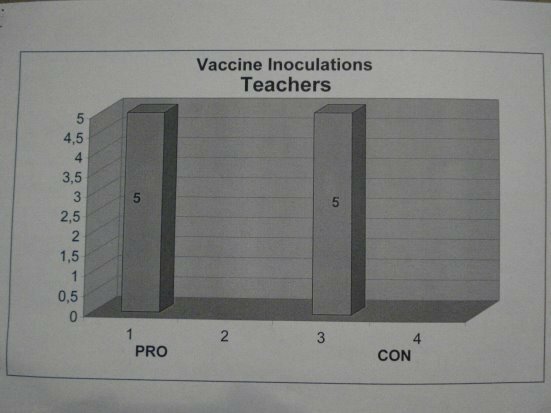 (pupils presented the diagrams after the survey at school pros and cons vaccine inoculations). 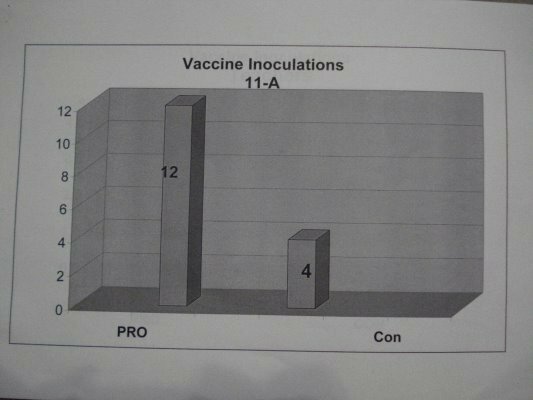 The result of group discussion - Pros vaccine inoculations. The World Organization of Health Protection declared an epidemy in Ukraine since 1995. TB is a very dangerous infectious disease and the infection can be communicated from a sick person to a healthy one. And it is very dangerous for the society. About 90 people died from TB in our town. That’s why all of us must be pro vaccine inoculation. If you make your vaccine inoculations regularly you will be healthy and you will never catch this or that disease. If you make an inoculation you will not get ill or if you are ill your illness will be easier for you. A vaccine inoculation raises the immunity of the person and the person’s organism can resist the disease. Vaccine inoculations prevent from the spreading of the epidemy in our country and all over the world. A person may be infected while he is being made the vaccine inoculation. There is a threat of blood infection. If a nurse is not careful with sterile instruments a person can be infected with HIV. I have seen on TV that the vaccine is not of good quality and many children got ill after some inoculation. Because of unfavourable ecological conditions the immunity of people is lowered and a lot of people suffer from it. Good job, children. I hope you will do the right choice when you are young parents and you have babies. Complete the sentences about the text in your own words. Discussion: What are your feelings after you have read the text? This text is very exciting. It causes mixed feelings. First of all it is the feeling of gladness for children who have been saved. I feel sorry for the parents who don’t know what to expect from the operation, whether their children will be able to live normal life. And, of course, it is the feeling of pride for the physicians who did all their best to cure sick hopeless children. Such are French doctors. And I’m sure there are a lot of devoted to their profession doctors all over the world. What famous doctors in Ukraine do you know? In what branches of medicine do or did they specialize? 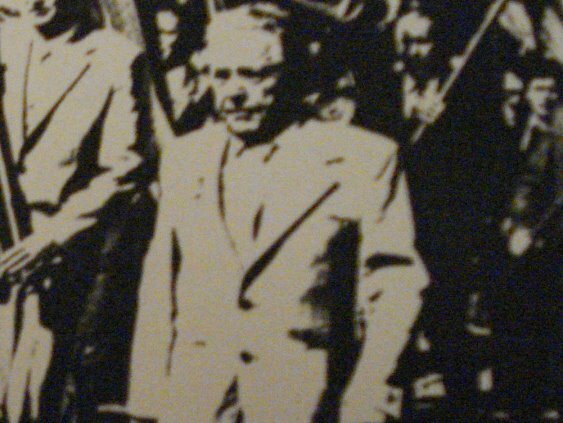 Mykola Amosov, a cardial surgeon. Volodymyr Filatov, an oculist, eye diseases. And do you know our local honourable, respectable doctors? P. Kravchenko was born in 1917 in the village of Potchatin of Cherkas region in the family of a farmer. After leaving 7-year school he went to Zaporizhzhia to his elder sister. He finished secondary school and entered Kyiv medical institute. When the war began in 1941 he went to the front as a surgeon. After the war he was sent to Polohy and from there he was sent to the village Konskiye Razdory as a head physician. 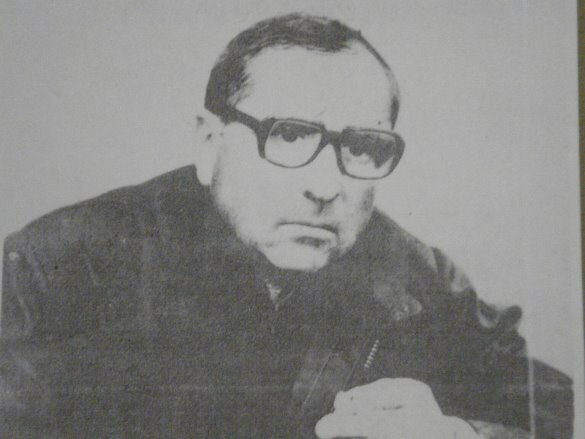 In 197 Petro Kravchenko was given the title of “An Honorable Doctor of Ukraine”. He was awarded many government awards, among which are the orders of October Revolution and Labour Red Banner, the sign of honour. 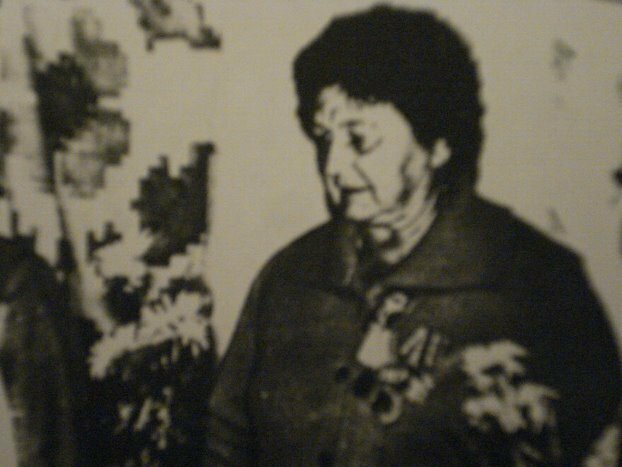 P.Kravchenko devoted 52 years to medicine. He had done more than 30,000 operations for all his life. of the highest category “excellent of health protection’. She owned the deep respect of the people. There is a memorial plague on the building of Chapaevka hospital which was opened in 2006. VALENTYN CHERNEN’KY was born in the village of Polohy Polohivs’ky district Zaporiz’ka region in 1944. He finished secondary school in 1963. Valentyn Chernen’ky graduated from the medical institute in 1969. 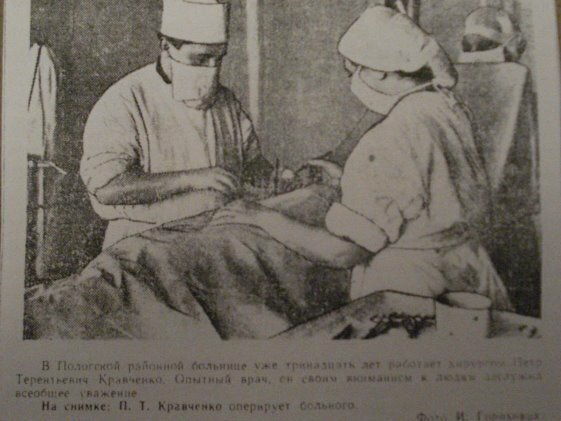 He worked as a surgeon in the settlement Drabov Cherkas’ka region. 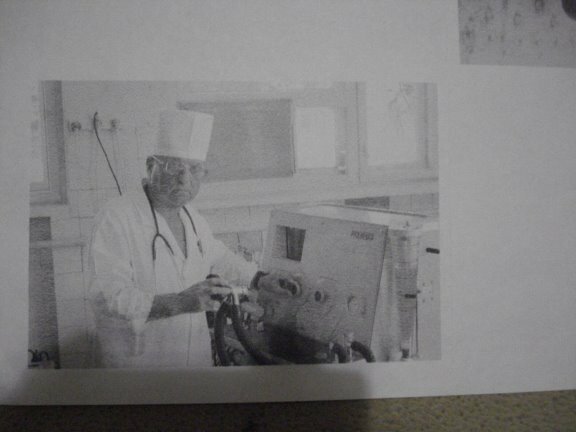 Since 1974 Valentyn Chernen’ky has been the head of reanimation and anesthesiology department. 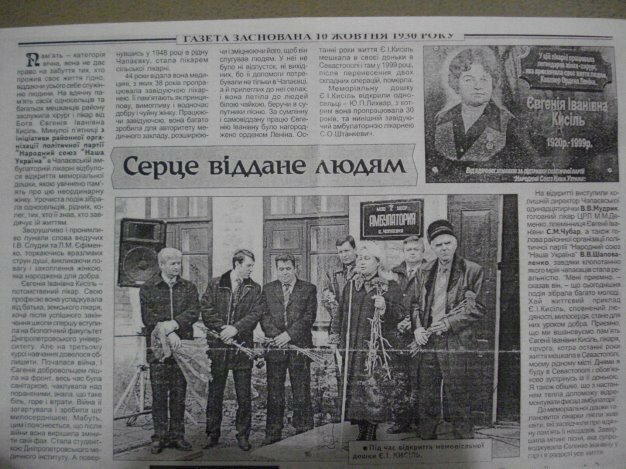 I’m glad that Nastia has found such interesting information and we have known something new about our local heroes. I wonder, is there anybody who wants to become a doctor? What have you learnt at the lesson? VII. Home assignment: WB p.62-63 ex.1-6, to find some information about famous Ukrainian doctors. VIII. Marks for the lesson.